The modern Baptist Church can trace its roots back to the early 17th century, when some Christians in England objected to the "parish" structure of the Anglican Church, as well as the baptism of children. Baptist churches spread throughout England and then Holland before reaching the US in the 1630s. In the beginning, Baptists ascribed to either Calvinist theology, based on salvation through predestination (see Presbyterianism for a more thorough explanation of Calvinism), or Arminianism, which holds free will as the main determinant of salvation. Baptists hold that membership in the church can only be achieved when the declaration of faith is voluntary and comes from a personal understanding of scripture and faith, so only adults are baptized. They are also baptized by full immersion, rather than pouring or sprinkling water over the person, as most Christian churches do. Since baptism is meant to represent death and resurrection to new life in Christ, Baptists fully immerse members to symbolize that death and rising to new life. Baptists also stress individual interpretation of scripture. People are meant to read and understand the Bible for themselves, rather than be told what it means. 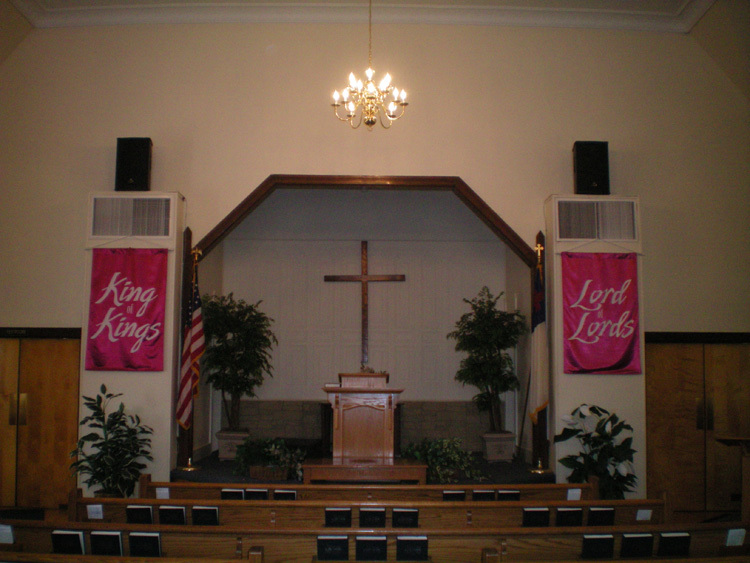 Baptist churches are usually very simply decorated. They may have stained glass windows and wall hangings, but no depictions of Christ, and the decorations they do have will usually be very modest. The church was officially recognized in October of 1841. 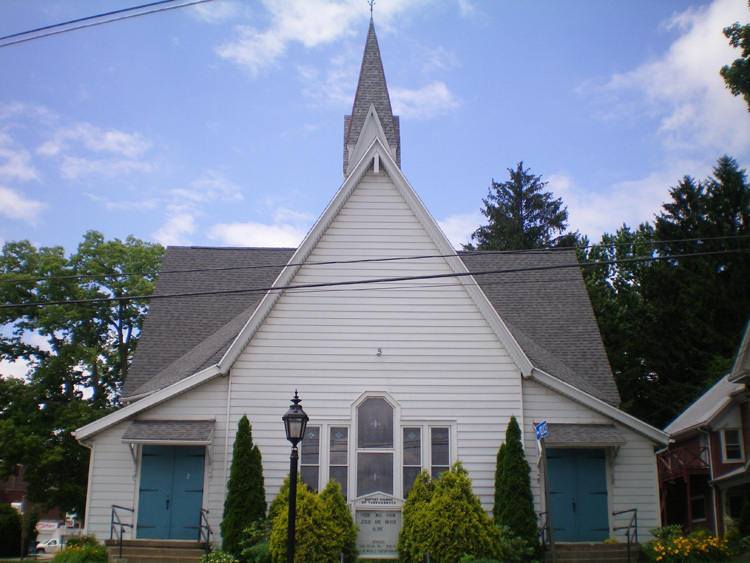 After several shaky years and some difficulty keeping up its members' spirit, the congregation purchased a former Presbyterian church in 1867. The site where the present structure stands was purchased in 1883. Over the years, much of the repair work and upkeep for the building and parsonage have been paid for by donations from parishioners or money left to the church in wills. The church supports various domestic and foreign missions, as well as children and adult programs and a yearly theology conference, the Endless Mountains Theology Conference. Chancel of Tunkhannock Baptist Church in Tunkhannock. The interior of Tunkhannock Baptist Church. 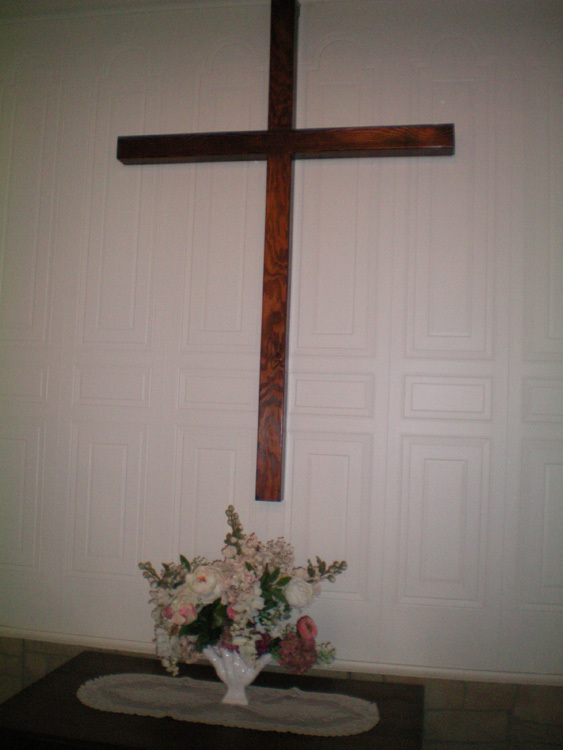 Decorations at Tunkhannock Baptist Church behind the pulpit.